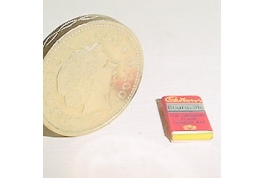 12th Scale Cadbury's Fruit & Nut. 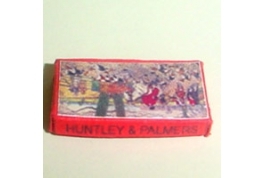 Hand Made In The UK. 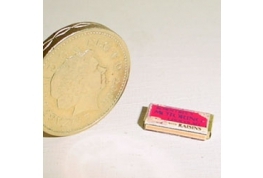 12th Scale Fry's Chocolate Cream Bar Hand Made In The UK. 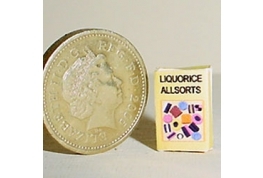 12th Scale Liquorice Allsorts Box. 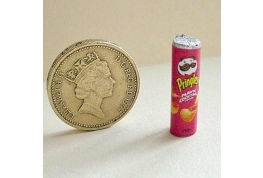 12th Scale Pringles Tube Cream Cheese Flavour. An Ideal Miniature Shop Accessory. A Delightful Snack Set. A super Dollshouse Addition. 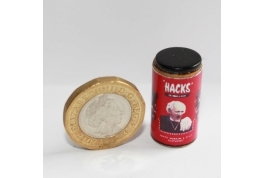 12th Scale Walkers Crisp Packet Smokey Bacon. Suitable For Miniature Pub Or Shop. 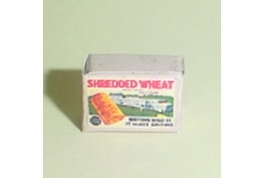 Was 90p Now 60p. 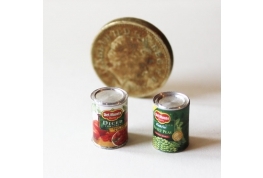 12th Scale Grocery Tins Ideal For Your miniature Larder Or Shop. 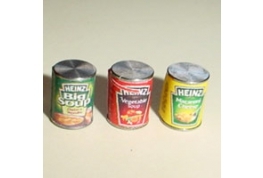 3 Tins Of Groceries Macaroni, Big Soup & Veg Soup, Made Of Metal. 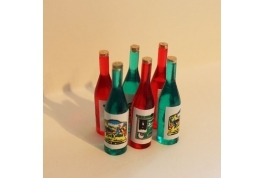 A Nice Set Of 12th Scale Miniature Wine Bottles To Stock Up Your Miniature Pub Shelves. 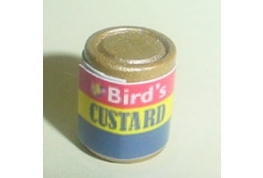 12th scale Birds custard powder tin, ideal for miniature shops and kitchens. Tin Is Made Of Metal. 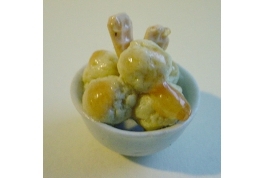 A Superb China Bowl Filled With Apple Crumble, Another Realistic Hand Made From The UK. 12th Scale Bowl Of Ice cream with Wafer. 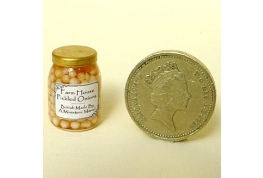 A Well Made Doll House Miniature That Will add That Realistic Feel For Your Doll House. Excellent Large Jar Of Pickled Onions, Hand Crafted. 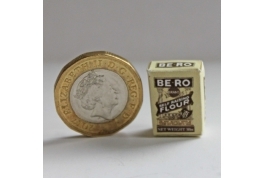 Will Suit Miniature Shops, Pubs Or Kitchen Pantry. 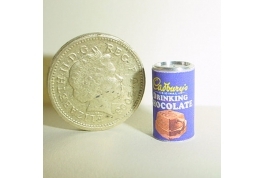 12th scale Cadburys drinking chocolate tin. 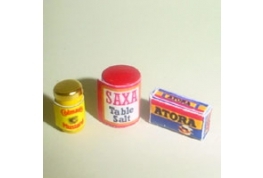 A super addition for any dollshouse. Delightful 12th Scale Cheese Dish With Block Of Cheese. 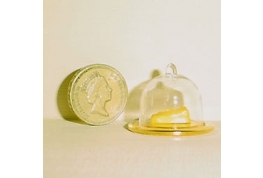 Dome Is Made Of Clear Perspex With Brass Effect Base. 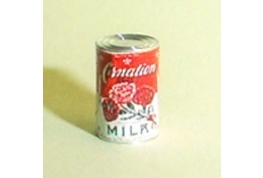 12th Scale Small Evaporated Milk Tin a delightful realistic 12th scale miniature. 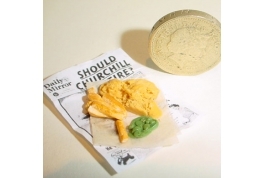 Superbly Made 12th scale Fish Chips And Mushy Peas Wrapped In A War Time Edition Newspaper. 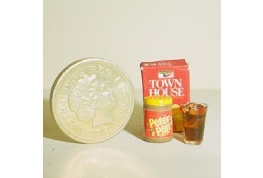 12th Scale Marmite & Bovril Set An Excellent Dolls House Accessory. 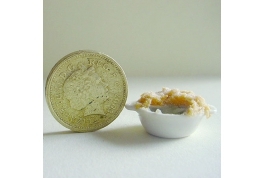 12th Scale Mustard, Salt & Suet Packs An Excellent Dolls House Accessorie. 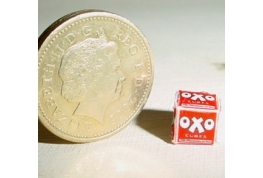 12th Scale Oxo cube Box A Delightful Kitchen Or Shop Accessory. 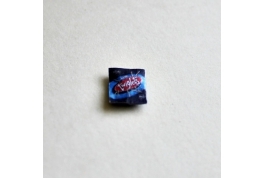 12th Scale Twiglets Packet, Ideal For Miniature Pub Or Shop Setting. 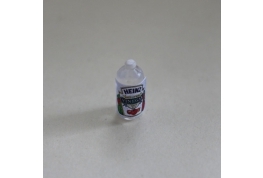 12th Scale White Vinegar Bottle For Dollhouse Use. 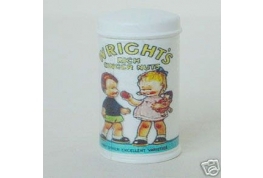 An Exclusive Wrights Ginger nut Biscuit Tin With Removable Lid. 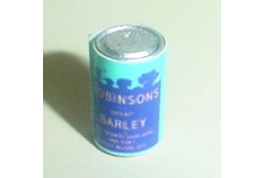 A Superb Tin That Will Look Good In 12th Scale Shop Or Kitchen. 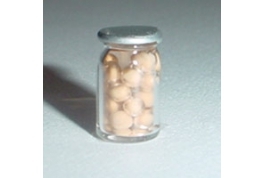 1:12 Scale Dollhouse Jar Pickled Walnuts Ideal To Fill Your Miniature Larder Or Shop Shelves. 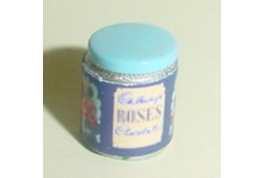 1:12 Scale Set Of Sweet Tins With Non Removable Lid Ideal For 1:12 Scale Shop Settings. 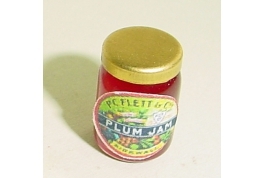 12th Scale Hand Crafted Plum Jam Jar. An Excellent Shop Accessory. 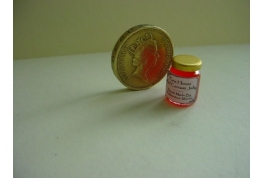 1:12 Scale Hand Crafted Jar Of Red Currant Jelly An Excellent Shop accessory. 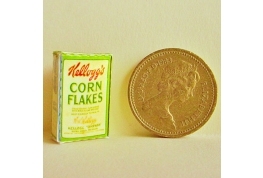 Old style 1:12 scale Corn Flakes packet an ideal period shop miniature. 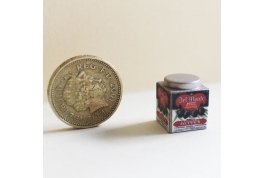 Olives Tin With Non Removable Lid For 1:12 Scale Miniature Pub Or Shop Settings. 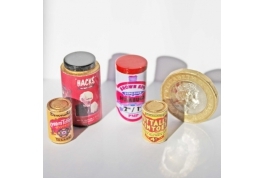 1:12 Scale Hacks Sweet Tins With Non Removable Lid Ideal For 1:12 Scale Shop Settings. 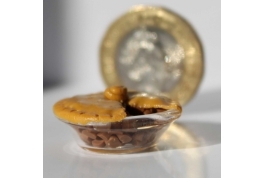 1:12 Scale British Made Meat Pie In Glass Dish. 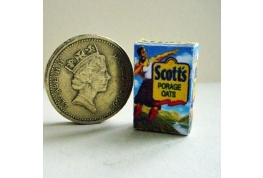 Delightful 1:12 Scale Porridge Oats Box, Ideal For Miniature Shop Use.